Multi-Award Winning Design Studio, specialising in residential design, right through to decoration. JMD’s principal designer, Jasmine McClelland, is a multi-award winning designer who has featured in a range of publications including Inside Out, Home Beautiful and The Design Files. Our expertise lies in our ability to intuit clients’ design wants and needs, creating beautiful spaces which maximise both function and aesthetics. Customer service is our priority and we pride ourselves on the strong relationships we have forged with our clients over the years. At JMD we work with residences from small apartments to large homes. On a new build we are fresh eyes to look over your plans and ensure spaces work to your needs. With extensions and renovations we explore the possibilities presented by existing configurations and provide options for maximising liveability. In both cases we then work with you on all aspects of design and decoration to bring your project to completion. Although we enjoy the whole process of creating beautiful homes, we are especially enamoured with the wet spaces which families use every day and have a proven track record in designing beautiful and practical kitchens, bathrooms and laundries. Through working in design for over a decade we have established a best practise network of trades, suppliers and sources to ensure the finished product is of the highest quality. Whether you are designing a new home or wanting to renovate your existing home we will bring our passion and expertise in design to create a simply beautiful space. Key Piece is a unique Interior Architectural & Design practice. With over 30 years of combined experience & knowledge, we are very grateful to have a huge referral base of amazing clients who have become, over the years, like family to us. As part of the service we offer, we project manage a significant number of our jobs and because of this, we have a team of extremely competent & loyal tradesman. Some of our clients have even been happy to hand over their keys, go on a holiday and return to their completed dream renovations. As Interior Architects, our specialty has always been accurately designing & detailing custom joinery including: award-winning kitchens & bathrooms; well equipped laundries; cosy studies & ergonomic home offices; grand libraries; entertainment units; beautiful fireplaces; well-fitted robes and other specific interior design detailing. We never work within our own taste or ego. We feel very comfortable intuiting our clients’ needs. We work within all styles, ranging from classical to contemporary. We always use up to date fixtures, fittings and are aware of all new technology within the building industry. We listen carefully to our clients and never finish our first briefing session until we feel extremely confident moving forward to the design stage. We are the ‘Key Piece’ in your building puzzle. We are adaptable, patient, dedicated, organised and always respectful of our clients’ needs. We can alleviate the stress by filling in the void between client & builder. We choose to draw by hand despite being trained in CAD. This gives us more flexibility, makes us faster and we are a lot more creative working at our drawing boards. Our drawings and specifications are very thorough, accurate, beautiful and easy to read by client & tradesman. We also have years of experience with colour, soft furnishing and finding ‘Key Pieces’ of furniture and lighting for our clients. We are equipped to work with you from concept to completion, whether it is a whole house or a simple room. Patrick Meneguzzi Interiors is a Multiple Award-Winning International Design Company based in Melbourne. We are proud to be celebrating 19 years successfully involved within the Design Industry. Established in 2000, (PM Interiors) offers a premiere, full Design and Decoration service. We have an envious track record having worked across a number of Residential and Commercial projects in Australia, UK, USA and ASIA. Our Showroom and Design Studio is located in Richmond’s converted factory precinct known as ‘Little Soho’, inspired by New York’s loft warehouse living. The showroom enables the presentation of Australian and European furniture manufacturers, wallpapers, textiles, lighting and rugs. We work directly with our clients, architects and builders commencing with the initial design concepts, throughout construction and project completion. Our Ethos is simple; we strive for excellence in every detail and are committed to creating exclusive and personalised interiors. PS Design Studio is a bespoke boutique interior design practice, renowned for its creativity and ability to provide sophisticated and elegant concepts that are tailored to clients’ individual needs without compromising quality or utility. Specialising in all areas of interior design and decoration, PS Design Studio is led by award winning interior designer Peter Schaad, who draws on all of his 20 years’ experience in the interior design industry. Peter believes in taking a truly collaborative approach to all his design projects, working closely with his clients and suppliers to create timeless and elegant spaces. Based in Melbourne, Peter’s passion for design and the wish to broaden his cultural and professional knowledge led him to travel to Europe, basing himself in Switzerland, where he took up a leading role for one of the country’s preeminent architectural firms for almost a decade. 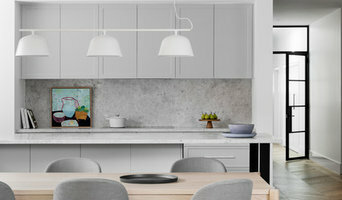 Established in 2004, Camilla Molders Design is a full service interior design and decoration studio in Melbourne focused on residential interiors. 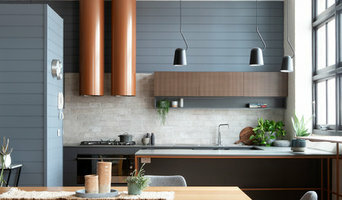 From large-scale renovations and new builds, to single room makeovers, we work with our clients on all aspects of the design process, often collaborating with architects and builders, to create functional and beautiful spaces with furniture, fabrics, and art, that skilfully reflect your personal taste and style. We create spaces that surprise and delight, that push design boundaries while balancing functionality with aesthetics, and focus on fine detailing and exceptional craftsmanship. Always taking a fresh approach to each project, we use our design expertise and passion to create beautiful spaces that you just want to come home to! Three Little Pigs is a boutique interior decoration, styling and design business. We take great pride in delivering the highest attention to detail engaging highly skilled tradesmen. At Three Little Pigs we listen to our client's needs, getting to know them and their vision, working in collaboration to create environments that work. We create modern, beautiful and unique spaces that suit individual tastes and lifestyles taking practicality and function into account before form. Three Little Pigs strives to always be creative, thinking outside the square all the while taking into consideration THE CLIENT. Specialising in houses made of "straw, sticks, and bricks"! I’m Danielle, founder of Danielle Trippett Interior Design & Decoration with over 20 years experience in the Interior Design industry. My favorite part of working with my clients is seeing their faces after transforming their homes into a space beyond what they could have imagined possible. I love working with classic, contemporary and eclectic styles, and work with my clients from concept to completion to tailor a design that reflects their tastes and lifestyle. I really enjoy the creative process of collaborating with my clients and often work with them for many years, as their lives evolve and need change. Being a mother gives me the advantage of knowing what products and finishes will stand up for a family but still look beautiful I provide a full-range custom service and work with my clients on all elements of their interior design projects, by working with the architects and builders to provide design input into building and renovation projects from initial conception to completion and finishing decoration and furnishings. Clearly, you are design curious, so already we have something in common. 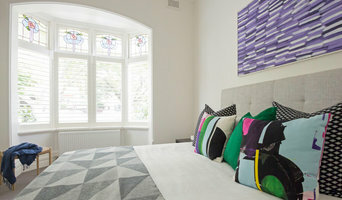 I recently called London home for four years working under the Principals of two highly respected interior design studios - Hirsch Bedner Associates and Louise Jones Interiors - working on both hospitality and residential projects in Italy, Israel, the United States, the United Kingdom and Kazakhstan. Each studio encompassed different but equally beautiful styles and these have contributed to my aesthetic today. My passion is the restoration and renovation of period properties. That being said, the bold colour choices, risks, and statements one can make when designing hotels, bars, cafes and restaurants is thrilling and I love contributing to these exciting ventures. My specialty lies in bringing warmth, style and an international perspective to the Australian design space. Our lifestyle is unique and my designs reflect the way we live and entertain as Australians. I love what I do: I imagine, shape and create warm, inviting and functional spaces. I draw inspiration from my love of travel and its subsequent discoveries. This passion is evident in my design. An infinite catalogue of ideas and design inspirations from living in London and travelling in Europe and beyond constantly swirl around my mind - ideas I plan to share with my clients! My approach focuses on beauty, timeless style and of course functionality. Let's create together. 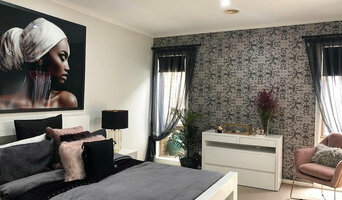 On occasion, interior designers in Long Forest, Victoria will need to subcontract help from other Long Forest, Victoria professionals to help create the perfect look for your home renovation. These may be specialist installers or interior decorators like kitchen designers, architects or landscape contractors. Start by asking yourself what you want your space to become and how it will be used. List your must-haves and decide on your budget. Interior design services can add up fast, so be upfront with potential interior designers from the beginning. Also, pick a designer in Long Forest, Victoria that fits your style. Browse through their interior design portfolio on Houzz and ask yourself if you’d live in any of those houses. If the rooms inspire you, take note of what elements you appreciate. 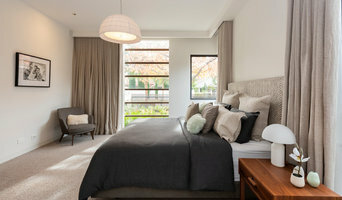 Find residential Long Forest, Victoria interior designers on Houzz. Scroll through this page to find interior designers in your area. Then, browse their design portfolios to see how their work compares to the scope of your project. You can read reviews to see how other homeowners rate their work, and message them directly to to ask any specific questions.